This popular South African played for the Saints in the mid-sixties. His scoring prowess was an integral part of the great cup winning sides of this era. He was extremely quick with an excellent elusive swerve. 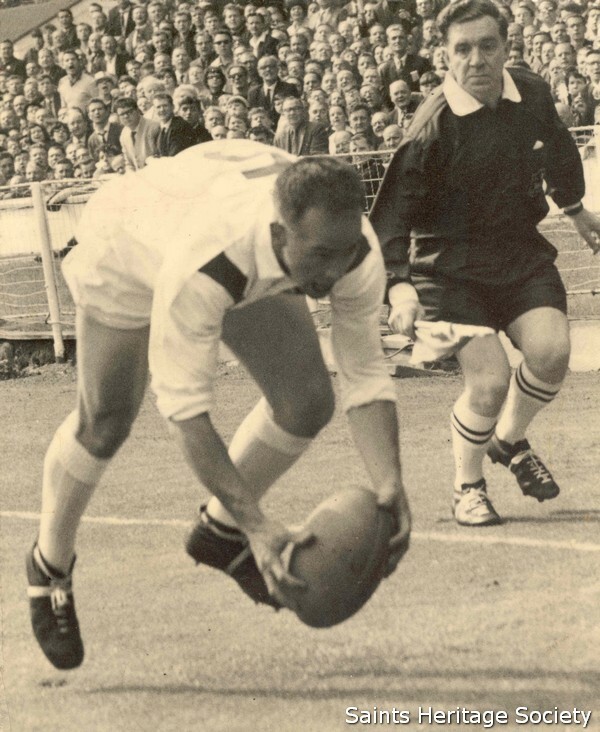 Len was also one the sweetest kickers of a rugby ball ever to have laced a boot in the Knowsley Road dressing rooms. 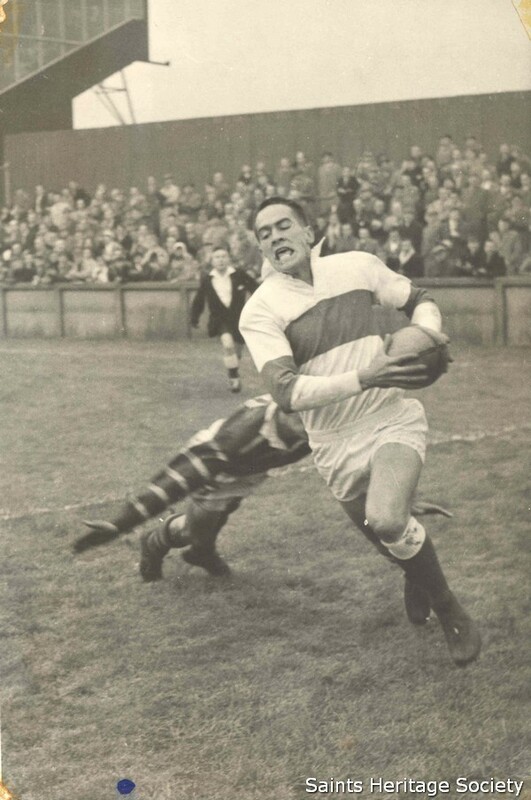 Killeen was one of only a handful of Saints’ players to score a century of tries and kick 100 goals for the club. His 1161 points haul was amassed in only five seasons at Knowsley Road. This statistic is even more incredible as remarkably Len Killeen did not kick a goal for the Saints in his first two seasons. At the time a certain Mr Kelvin Coslett was in charge of the kicking department at Knowsley Road. `Lenny the Lion` and the team reached an all-time high in the 1965/66 season as four trophies were brought to the Knowsley Road strong-room. The 21 points to 2 Challenge Cup Final victory over Wigan demonstrated Len`s all round skills. His first half 65 yards penalty goal kick broke the heart of the Wigan defence. In the second half he capitalised on a perfectly judged grubber kick from Billy Benyon to collect the ball and dive over in the corner in one continuous movement. These plays won Len the Lance Todd Trophy as man of the match. 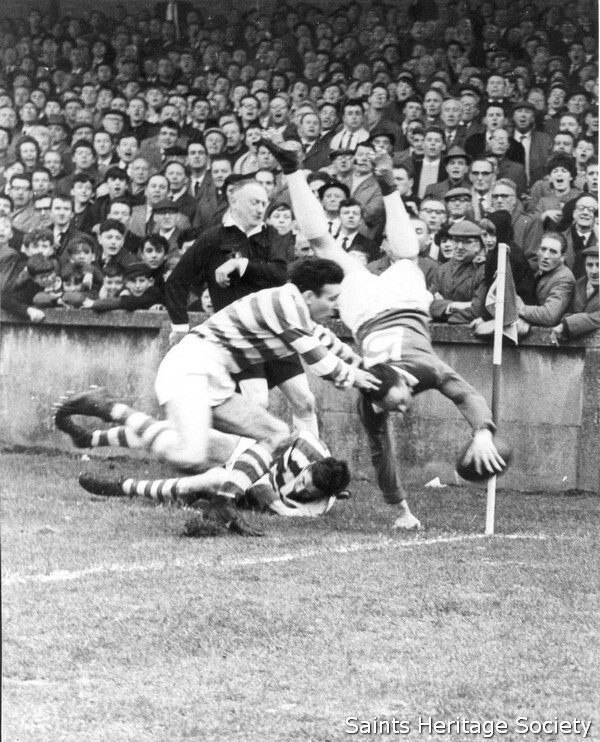 One week later Len was in the limelight again as Saints demolished Halifax in the 1966 Championship Final with Killeen scoring a hat trick of tries and kicking 6 goals. Len finished the season at the top of the League`s tries, goals and points chart, a unique achievement.